Georges Ugeux is Chairman and CEO of Galileo Global Advisors, a New-York based boutique advisory investment bank specialising in cross border advisory services, Mergers and Acquisitions and capital raising with a strong focus on emerging markets. After studies in philosophy, economy and law, Georges embraced a 40-year financial career. 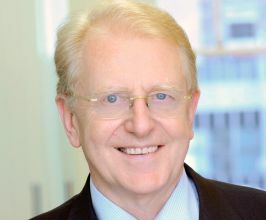 It led him from commercial banking at Société Générale de Banque (now BNP Paribas Fortis) in Belgium, to investment banking at Morgan Stanley International and Kidder Peabody in London, to the role of finance director of Société Générale de Belgique, a leading European conglomerate and the Presidency of the European Investment Fund, an public partnership of the European Investment Bank, the European Commission and 76 European banks. In 1996, he moved to the United States to create and lead the international group of the New York Stock Exchange. He has been teaching at the Catholic University of Louvain, the College of Europe in Bruges and was associated to the Program for Financial Institutions of Harvard Law School. He was Chairman of the Kingdom of Belgium’s privatisation commission. As a speaker, Georges covers as well the global realities, the social and political dimension, and, while having a critical view, always remains constructive. He fundamentally believes that finance is an essential part of the world we live in, reaching people and institutions alike. However, for him, the added value of finance to the economy and society is critical. Finance is not just a means to personal enrichment, but has to act responsibly towards the various constituencies it serves. As the financial crisis was nearing, Georges became increasingly critical of the optimism of bankers and authorities. After the Lehman collapse, he became a voice in the media. He is frequently asked for comments and interviews. He was invited by Le Monde.fr to be an invited blog on “Demystifying Finance”. The blog was immediately awarded the price of best economic blog by Challenges, a leading French magazine. He subsequently was invited to hold a blog on Huffington Post.com in the United States. In 2010, the French publisher Odile Jacob and the Belgian publisher Lannoo published his book on “the betrayal of finance: twelve reforms to restore confidence” in French and Dutch. The English version will be published shortly. His voice uniquely combines factual and technical aspects and their more societal meaning and consequences. His experience of the regulatory and political dimensions of financial issues provides insights into the complexity of the “new” world of finance that is currently being structured by authorities. He keeps regularly in touch with- and is often called for advice by- regulators and Governments. He strongly believes that while finance and politics are strongly connected, they are not structurally in conflict and need to find a way to cohabitate. All American Speakers is a speakers bureau and booking agency providing information on booking Georges Ugeux for speaking engagements, personal appearances and corporate events. Contact an All American Speakers Bureau booking agent for more information on Georges Ugeux speaking fees, availability, speech topics and cost to hire for your next event. Please Note: All American Speakers Bureau acts only as an entertainment broker/producer for corporate functions, private engagements and special events. All American Speakers Bureau does not claim or represent itself as the exclusive agent or management of Georges Ugeux or any artist on this website. Speaker fees are determined based on a number of factors and may change without notice. Fees often vary based on a number of factors including: speakers schedule, supply and demand, length of presentation, location of event and other factors. Fee Ranges listed on this website are intended to serve only as a guideline. In some cases, the actual price quote may be above or below the stated range.